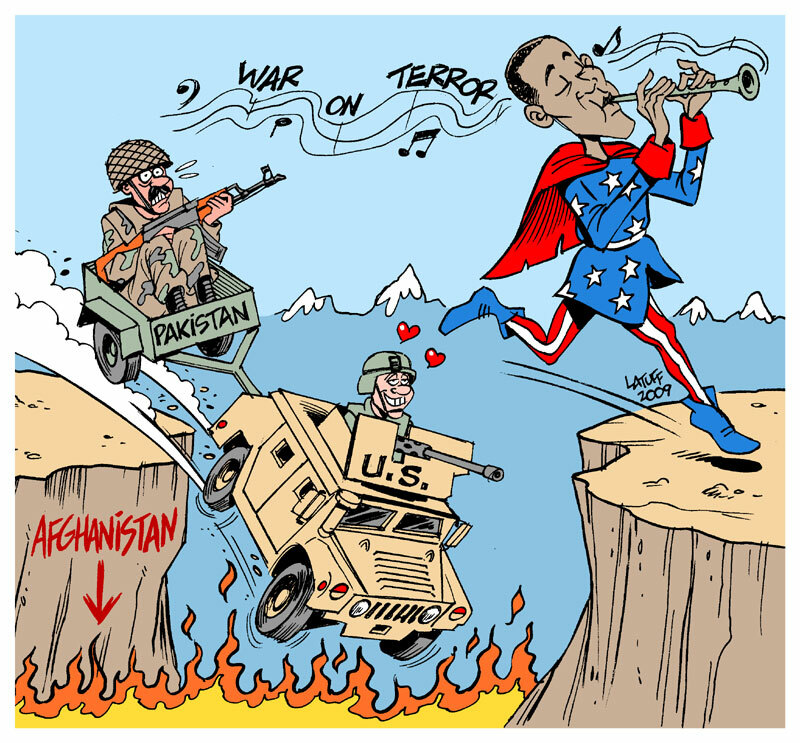 Truth by Kbaig: Reality of Haqqani Network and USA..! Reality of Haqqani Network and USA..! First of all US govt. made Mullen to accuse Pakistan for being involved in terrorism, later on American govt. denied to testify his statement. This was one of the greatest insults bestowed on any retiring Generals of the army. When follower of US stance in every regard i.e. Britain separated itself from American statement that Pakistan and ISI are not only supporting Haqqani network but involved in terrorism, this was the first diplomatic blow for Americans. Not only this, British Foreign Minister also issued the statement that British respects Pakistan’s sacrifices against terrorism and in every hard time it will stand with Pakistan. On the other hand, the harsh and inelastic reaction of Pakistan against Mullen’s statement was unexpected by USA. Because in spite of all its latest weapons Super Power was not in a position to attack Pakistan, and was aware of the situation after the attack. When the supply of oil and weapons would have been cut down to its army trapped in Afghanistan. Although USA has been acting from last three years that talks with Russia and other countries are going own for alternative supply routes. USA had said several times that Americans will soon hear the good news, however White House and Pentagon were well aware that the alternative supply route was not possible. Why Russia would provide Oxygen Mask to USA involved in disintegration of Soviet Union. Those elements known as Socialist and Progressive who previously were sponsored by Russia and blamed USA as Imperialistic, now these elements tried their best to make Pakistani nation afraid of America's barbarism and aggressive history. They advised govt. through their columns, and talk shows that in spite of standing in front of America, govt. should accept its faults and assure USA that we are ready to conduct operation against Haqqani network in Northern Waziristan. However White House showed responsibility in preventing a possible war and through its media published a news in Washington Post of 28 September that Obama Administration is angry with Mullen over its statement against ISI and takes this statement based upon misinformation. In the other words, White House did not verify statement of its retiring General. Interesting fact is that same day the interview of Mullen was published in Wall Street Journal, he repeated his previous statement and blamed Pakistan for attacks over US embassy in Kabul, and claimed that Pakistan is supporting Haqqani network. He said that ISI provided strategic support to Haqqani for attack in Kabul. In order to violate and play with emotions of American public, Admiral Mullen said that deaths of American soldiers in Afghanistan are unacceptable, after attacks over American soldiers, Pak-America relations had touched their lowest limits and the partnership like before is impossible to be restored. In this statement of Mullen there is an open threat and message to Pakistan that ways of Pakistan and America are separate. If American journalists had courage, the representative of Wall Street Journal should have asked Admiral Mullen that if he cannot bear deaths of American soldiers in Afghanistan than are American soldiers there for picnic or spending holidays? If he is so much, concerned about the lives of the American soldiers than why he did not order them to withdraw. At such a point Mullen should have been told that he is Chief of an aggressive army which has captured an independent state, like previous Chiefs (who tried to portray illegal control of an independent state as their victory but alas failed) he is also murderer of millions of Afghan women, children, elderly and youth which had been murdered in last ten years. Americans had treated Afghans in the way the victorious had used to do at the time of ignorance with the innocent citizens of their defeated states and cities. However, American media could not raise such like questions to their Generals, because it is so called flag bearer of the freedom of expression. The situation of civilized American media is so much poor that in spite of evidences in the form of pictures and Movie camera footage that American and Western soldiers/terrorists wearing uniform of their respective armies are fighting against Qaddafi in Libya, American media is not allowed to telecast this news. Like Iraq and Afghanistan, American and western armies are involved in aggression and war crimes in Libya too. Let’s come back to our today’s topic i.e. statement of Mullen and changing stances of US govt. On the same day spokesperson for White House is giving the statement that Mullen’s comments against ISI had increased disputes between Pakistan and USA so they cannot be verified, in contrast to this spokesperson for US Foreign Ministry “Victoria” is saying that accuses of Mullen were based upon facts and he represented the view of American govt. The series of incompatible statement does not end here, after two days on 30 September “King of the World” Obama, astonished the media in his address to farewell party of Mullen by saying that Mullen is seriously frustrated (meaning he is leaving army as a failed General) because Pakistan is a safe heaven for Haqqani Network. However there are no clear intelligence reports of links between ISI and Haqqani so statement of Mullen cannot be verified. “THESE GENTLEMEN ARE THE MORAL EQUIVALENTS OF AMERICA”S FOUNDING FATHERS”. 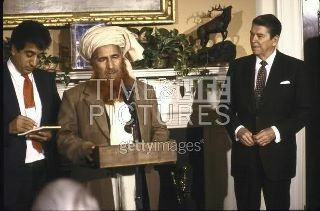 However Regan bestowed Jallaludin Haqqani with special protocol by inviting him to the White House individually which has been only given to Dalai Lama of Tibet only. According to the documents the reason behind this special respect of Molvi Jallaludin was that his tribe ZADRAN has been spread in Afghan Province, Paktia, Khost, Wardak, Logar and Ghazni. This tribe was a great challenge for Soviet forces due to its bravery and war activities. Like other Afghan leaders Haqqani was not fond of issuing statements or links with media. White House decided to train his tribe like a professional army. Afterwards with the support of ISI Haqqani network was allowed to establish its training camp in Northern Waziristan of Pakistan. 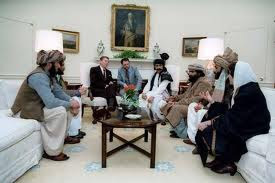 CIA laid the foundation of Haqqani network and on the request of USA during Jihad against Soviet Union Pakistan allowed Haqqani and his colleagues to live in Pakistan. In 80’s CIA arranged meetings between Haqqani and rich Sheikhs of Arab states, funding Jihad, and they are funding it even now. After withdrawal of Soviet forces when Afghan indulged in Civil war, Haqqani secluded his group from it and limited his activities. When Taliban got in power in Afghanistan in 1996, they established links with Haqqani and offered him to participate in Cabinet. 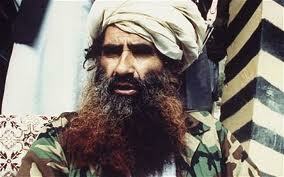 Haqqani accepted this offer and was appointed as Minister of Tribal affairs. Until than America was in contact with Haqqani via CIA. These links were broke after barbaric attack of US over Afghanistan and CIA lost its Haqqani network which was known as heritage of CIA in some past years. 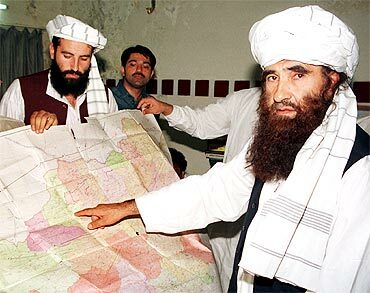 Not only this in last ten years Haqqani network established its strong holds in Afghan provinces Kunar, Nangarhar, Zabul, Kandahar, and Helmand. According to a report of TIME, Hamid Qarzai had several times invited son of Jallaludin Haqqani, Siraj Haqqani to join govt. as Prime Minister, but he rejected this offer by conditioning it with complete withdrawal of occupant forces. According to another report the sources of income of Haqqani network are secret agencies of different western countries whose soldiers are present in Afghanistan, these payments are made to Haqqani on the condition of not attacking occupant forces. Therefore, Haqqani gets latest weapons, modern vehicles and heavy amounts from Westerns and warlords as well as foreign investors pay a part of their income to Haqqani and smuggle weapons for them. The safe return of allied forces to their strong holds is conditioned with the will of Haqqani network.